You can create a list pane that is always embedded in a work center view. The OWL contains business objects such as Sales Order or Employee. Here is a sample Sales Object Work List Floorplan. In the Solution Explorer, expand the solution to display the business object. 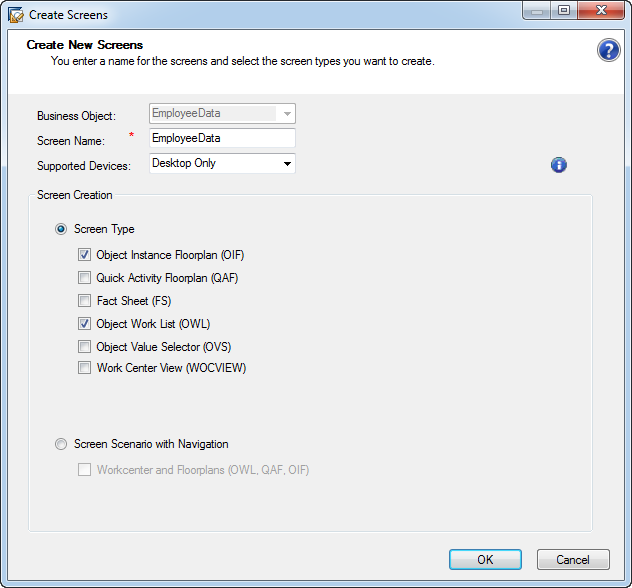 Right-click on the business object and select Create Screens. In the Screen Name field, enter a name for the object work list. Under Floorplan Type select Object Work List (OWL). 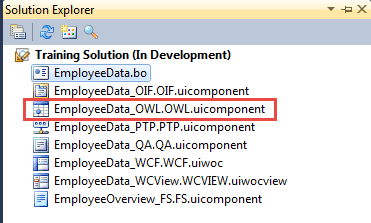 A new object work list is created and displayed in the Solution Explorer under the business object. 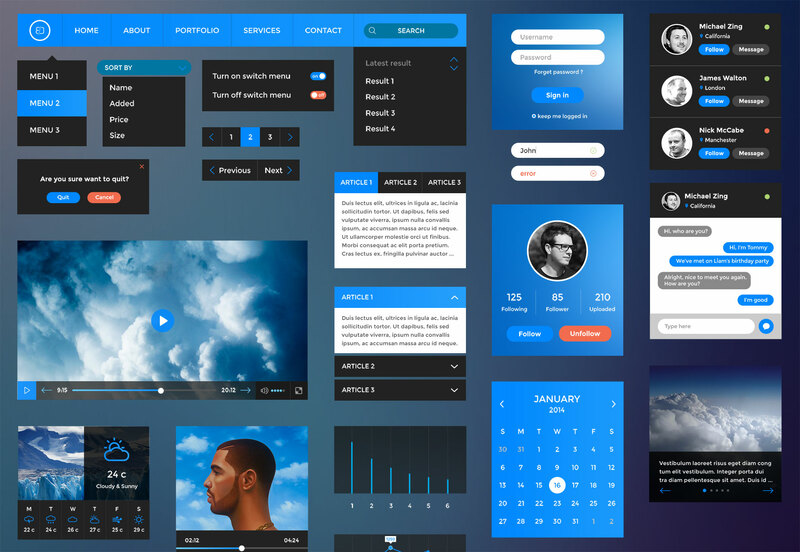 The OWL opens in the user interface designer. Add columns in the OWL by dragging and dropping Controls from the Toolbox. Bind each of the fields to the required business object element. In the Properties Explorer, change the properties of the required controls. In the Properties Explorer, enable the preview area by selecting AdvancedListPaneVariant. In the BO Browser/Data Model, add the necessary fields from the DataList. In the BO Browser tool window set a filter to show queries. Drag query parameters to the find form. Add an Edit button to the toolbar. Select the Navigation property and open the editor. 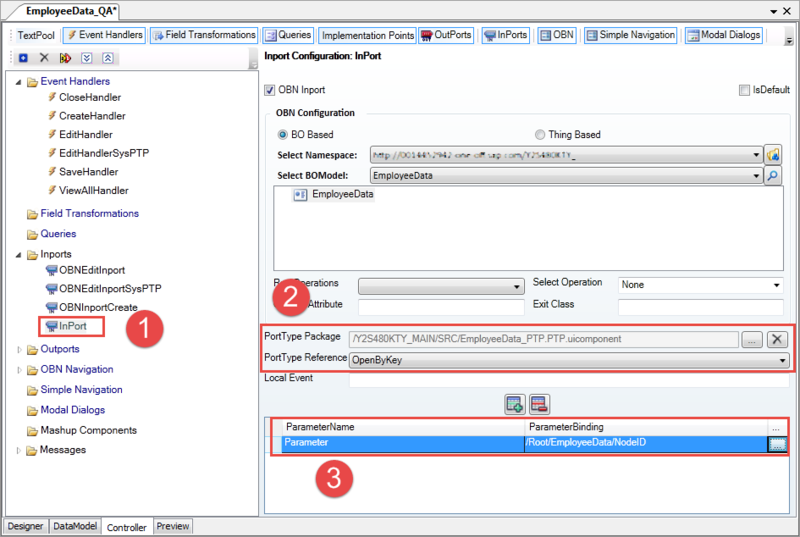 Select the namespace, OIF/QA controller, and its inport operation Open and click OK.
An OBN, an outport, and an event handler are created automatically in the Controller tab. In the Designer tab, assign a title to the default set that is displayed in the Show drop-down list. In the Controller tab, bind the query to the controller’s query using the element structure. Add and bind the query parameters from the controller to Search Parameter Structure fields. Find the event handler, outport, and OBN that were created while configuring the Edit button. list and data field that acts as a placeholder for the key. Save and activate your changes. we have seen how to design Object Work List floorplan, and in the next unit, we will learn how to design the OIF screens. Don’t forget to subscribe and leave your comments.